I work in the finance industry and I’m used to personnel turnover. Bankers, traders and lawyers hop from one bank to another every few years. While some leave on their own accord, others are pushed out because they don’t deliver. Before a co-worker announces a departure, I usually see it coming a mile away. The signs are always there for the taking. For instance, he suddenly keeps a low profile and reduces meetings and emails to a minimum. He is hardly at his desk any more – and when he is, he is organizing files or on the phone with HR. He clears his vacation days and schedules dental works and physical checkups. Things that he used to care a great deal about, like headcount and budget, no longer seem to bother him. But he is careful about keeping up appearances: he smiles a lot, wears a suit a lot and says “let’s grab lunch some time” to people a lot. If C.Y. Leung worked on my floor, I would have said to myself, “Yep, he’ll be gone in three months. 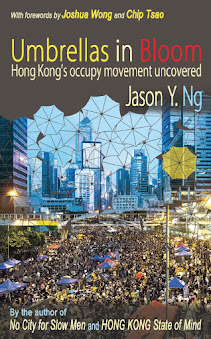 Six months tops.” Since I first predicted his demise in my article A Hundred Days of Solitude last October, Leung has been exhibiting every behavioral pattern I outlined in the preceding paragraph. Our Chief Executive has gone A.W.O.L., M.I.A. and A.F.K. For someone who loves the microphone and doesn’t skimp on words, Leung has been remarkably camera-shy. These days when we do see him – which is rare – he looks aloof, disengaged and defeated. He is a far cry from the zealous politician who ran on an Obamian “change” platform and defused every scandal with vigor and conviction. Three weeks ago when American whistleblower Edward Snowden sought refuge in Hong Kong, it was his cabinet member Regina Ip (葉劉淑儀) and Security Secretary Tung-kwok Lai (黎棟國) who faced the press. When a television reporter finally got through to Leung, he had this to say: “I already told you I have no comment. Listen, I’m busy with something at the moment.” Click. It wasn’t until after the fugitive fled the city that a stone-faced Leung crawled out of the hole and delivered a few rehearsed lines to the foreign press. If there is one thing that C.Y. 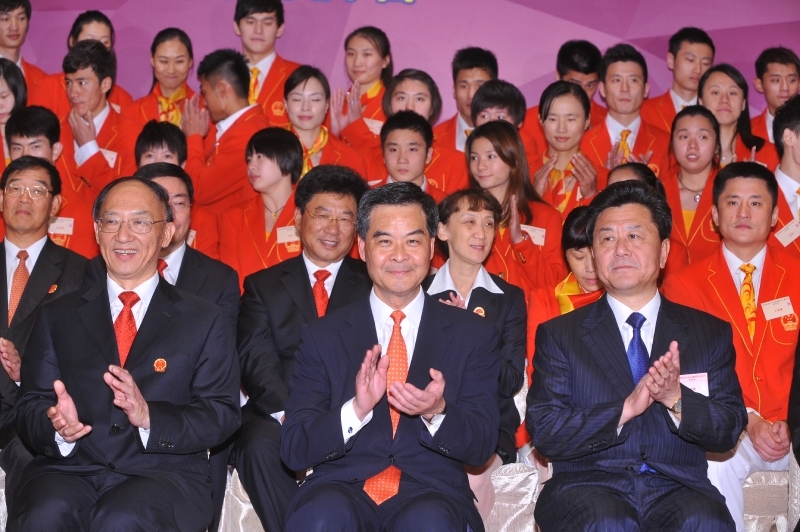 Leung has learned from his predecessor Donald Tsang, it is that lavish foreign trips are the best part of the job. The idea is to milk the system as much as permissible and while you still can. And why not? There are no pestering reporters or screaming protestors on foreign soil, only presidential suites, Michelin-starred restaurants and door-to-door limousine service. Surely enough, Leung went on an official trip to New York last month, visiting the stock exchange and meeting Mayor Michael Bloomberg. 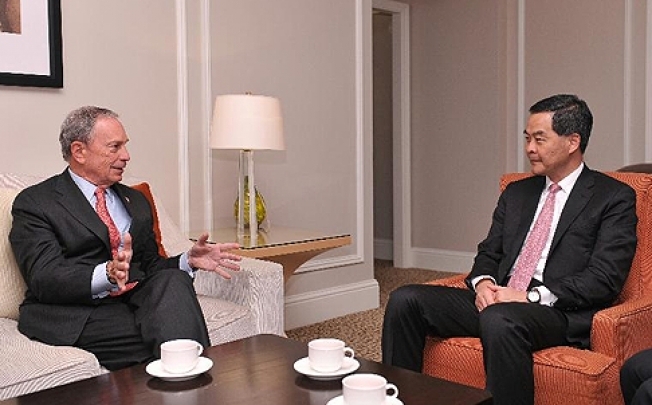 Bloomberg had no interest in talking to a Beijing mouthpiece who is soon to be out of a job, not to mention that the visit came in the midst of the Snowden manhunt. The mayor tried to back out but ultimately agreed to spend a half-hour with Leung in a hastily arranged meeting in a hotel room. It was a slap in the face. The old C.Y. 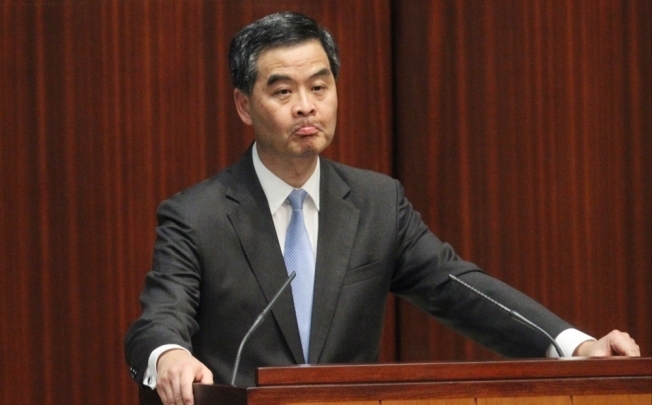 Leung would have gotten all worked up, but things like that don't bother him any more. The only thought he had while listening to Bloomberg yap about China's human rights record was: what other countries should I see before they take away my expense account? "Excuse me, why are you here again?" As any departing employee would tell you, it is important to pretend it is business as usual until the very last day. You want to leave on good terms and you don’t need any drama in the office. C.Y. Leung takes that advice to heart. Last week, days before his one-year anniversary of taking office, he emerged from hiding to meet the press with a 28-page report card highlighting his accomplishments. 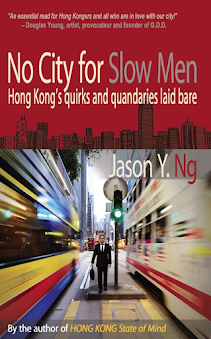 The whole song and dance was just to keep up the charade of course, but that didn't stop him from throwing in everything and the kitchen sink, from pulling the plug on Mainland women giving birth in Hong Kong to limiting the exports of baby formula. He even took credit for averting the latest bird flu crisis! Sporting a forced smile, the Chief Executive concluded, “We achieved many things in a short time, but we won’t let that go to our heads.” Hearing that from someone who has broken every campaign promise and botched every policy initiative is laughable and borderline disturbing. The only thing that has gone to his head is self-delusion. Self-delusion is what keeps C.Y. Leung from jumping out of a Government House window. He is easily the loneliest person in the entire city. For starters, his biggest backer, Li Gang (李剛) of the Liaison Office (中聯辦), has been exiled to Macau. After the CCP completed its leadership change last November, Beijing put a new sheriff in town and he is not a fan of Leung. That explains why the Chief Executive, who used to drop by the Liaison Office to say hello every now and then, has stopped going there altogether. "I'll give you a call next time I go to Macau." But Leung’s house of cards continues to crumble. 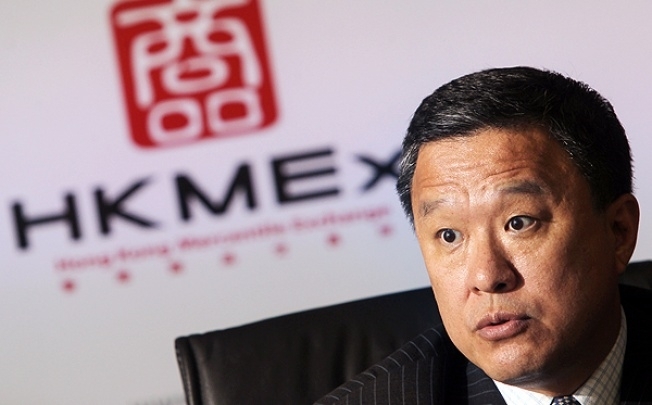 In May, Barry Cheung (張震遠) suddenly resigned from the Executive Council (ExCo), the government’s core policy-making organ. It turned out that Cheung was implicated in a series of multi-billion dollar frauds designed to keep afloat his biggest investment, the HK Mercantile Exchange. Cheung’s resignation dealt a fatal blow to the administration, as he has been the architect behind many, if not all, of C.Y. Leung’s economic policies. “Everybody knows that C.Y. didn’t have a team when he took office,” former ExCo member and current Legco member James Tien (田北俊) told a reporter recently. 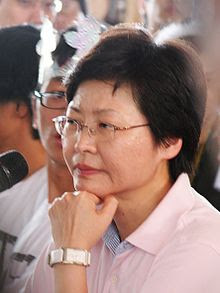 Tien’s remark suggests that losing a right hand man like Cheung has put the Chief Executive back to square one. Governance is a team sport and Leung ain't got a team. "Psst, what are you going to do without me?" Watching it all from 30,000 feet, Beijing is not amused. It is widely believed that the Politburo has already switched to “Plan B” and begun building a dossier on Chief Secretary Carrie Lam (林鄭月娥) to determine if she has what it takes to take over the job. Before its due diligence is complete and a replacement is secured, Beijing doesn't want anyone to make things worse than they already are. The Politburo is telling the leadership in Hong Kong what mothers say to their clumsy kids when they try to help in the kitchen: “Just don't touch anything and go play somewhere else!” That's why public consultation about election arrangements for 2017 has stalled, and that's why C.Y. Leung has not put forward any of the social policies he seems to care about. Without marching orders from up north, all Leung can do is check Facebook and play Candy Crush in his corner office while collecting a HK$370,000 paycheck every month. But these cushy days can't and won't go on forever. With the 2017 deadline for universal suffrage fast approaching, Beijing needs to act swiftly and clean house before time runs out. I said this eight months ago and I will say it again: C.Y. 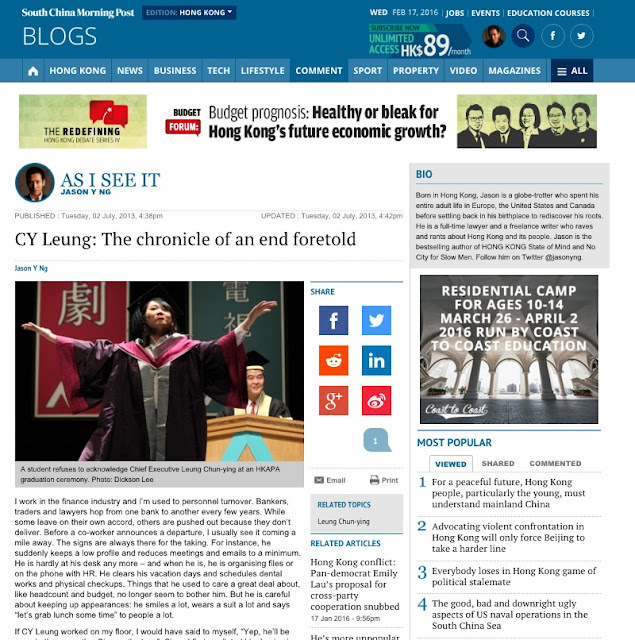 Leung’s fall is more than a prediction – it is a foregone conclusion. But it shouldn't come as a surprise to anyone. Leung stole the election from his opponent by accusing him of a crime he himself had committed. He was asked to step down before he was even sworn in. With each new poll, his approval rating dropped to a new low. He was so unpopular that students at the Hong Kong Academy for Performing Arts gave him the one-finger salute at their graduation ceremony last week. And if the tens of thousands of frustrated citizens who took to the streets during a typhoon yesterday is any indication, then the writing is on the wall. I don’t work on the same floor as the Chief Executive, but Carrie Lam does. I bet she is already measuring the windows for new curtains. "What color should I paint my new office?"